What’s the Best GPU for Gaming? Those who tirelessly game day in and day out know that the single most important piece of hardware for their computer is their GPU or Graphics Processing Unit. Without a decent GPU your computer will either have a low FPS (Frame Rate) or not be able to run your games on their highest settings. Avid gamers generally replace their video cards every 12-24 months in order to have their PC support the newest and greatest games. *Untrue Fact of the day – Choppy Gaming accounts for at least 52% of all pwnge. Ok, now that we’ve got our untrue fact of the day out of the way we’re on to graphics cards. 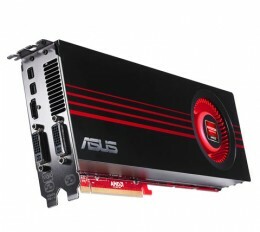 The two graphics cards we’ll feature today are the EVGA GeForce GTX 470 and the Asus Radeon HD6950. You can generally find these GPU for less than $250. If you haven’t read techpowerup‘s mod on the HD6950, then we suggest you do. Why pay an extra $70 when you can mod it to the HD6970 for free? If you go with the 6950, then you’ll enjoy the new shading technology that Radeon has incorporated into their graphics cards. The GTX 470 is a time and gamer tested graphics card. I own it and it still runs all of my games on their highest resolution settings and promises to do so for at least another year or so. The GTX 470 has been in the top 25 for GPU since it’s release about a year ago. NVIDIA’s 400 series of graphics cards provides new accelerated tessellation to your picture. This enables new and more scalable Geometry to all of your games. Thanks for reading this post on the best gpu for gaming, you can support us by leaving a comment, subscribing, or visiting our other gaming related links and reviews including our recent post on the best CPU processors of 2011.